At Christmas time, the living room really is the heart of the whole festive experience. It's the room we all flock to once our bellies are full and, if you've been a good girl or boy, it's the place Father Christmas will reputedly make his magical appearance! If your living room is currently feeling less than loved, Christmas is the perfect excuse to lavish a bit of care and attention on it. With guests of the expected and unexpected variety turning up on your doorstep, you'll want your living room furniture to give your home a warm and inviting feel. We've already looked at sprucing up your downstairs cloakroom and given you tips for a welcoming guest bedroom. 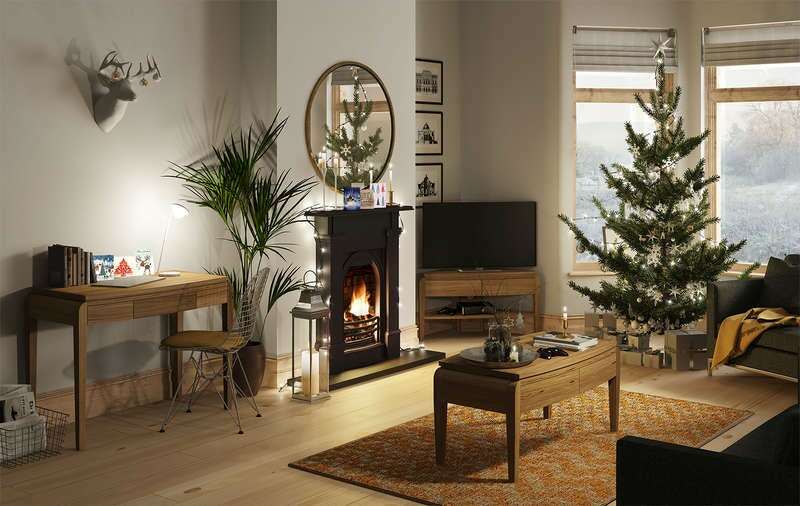 So, in part 3 of our Christmas home advice, we'll show you how to create a fun and festive living room, with a place for everything! Occasional tables are, as their name suggests, tables that are used occasionally. However, at Christmas, we feel the word takes on a completely different meaning, with your tables used to create special "occasions" in your living room. With visitors arriving and in need of refreshment, a coffee table or side table is a necessity, to balance a hot drink and mince pie, or perhaps something a little stronger? And, when the Queen's speech is finally over, you can use your table for those all-important board games. You know, the ones where your other half gets slightly over-competitive! 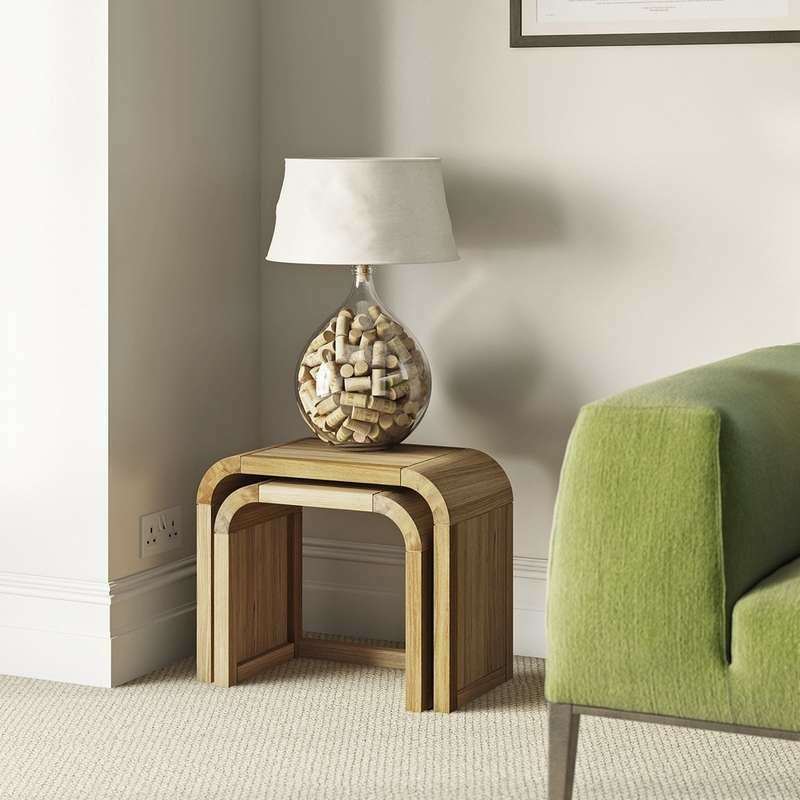 Something like the oak nest of small tables, pictured below, will make the perfect addition to your room. 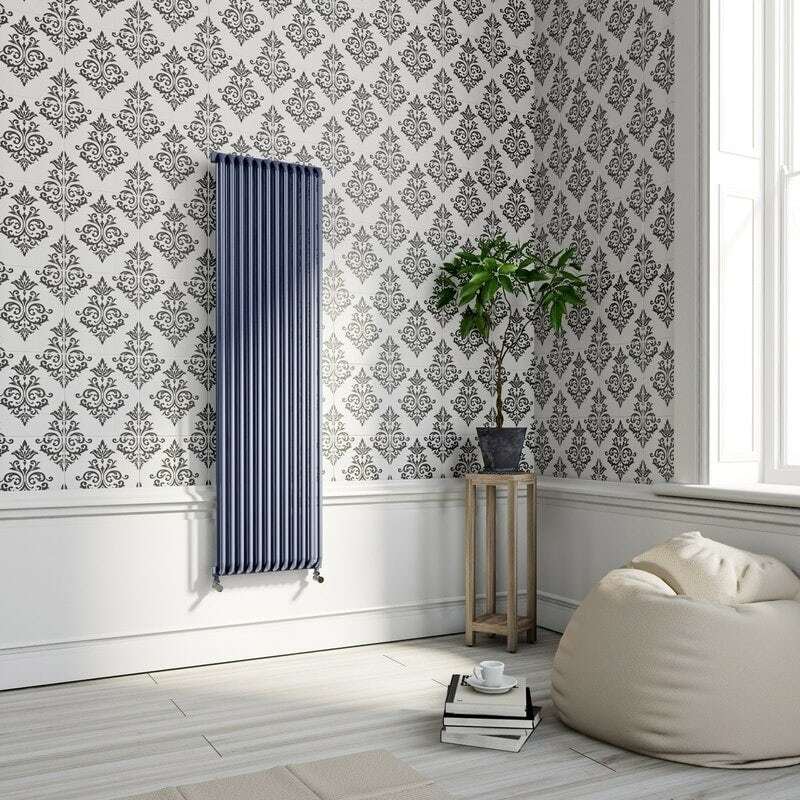 With its modern design, it'll fit with a wide range of decors. Just don't forget the coasters! Christmas is a time for making memories, and it's an especially poignant time, as we watch our children grow up and remember those loved ones we've lost. 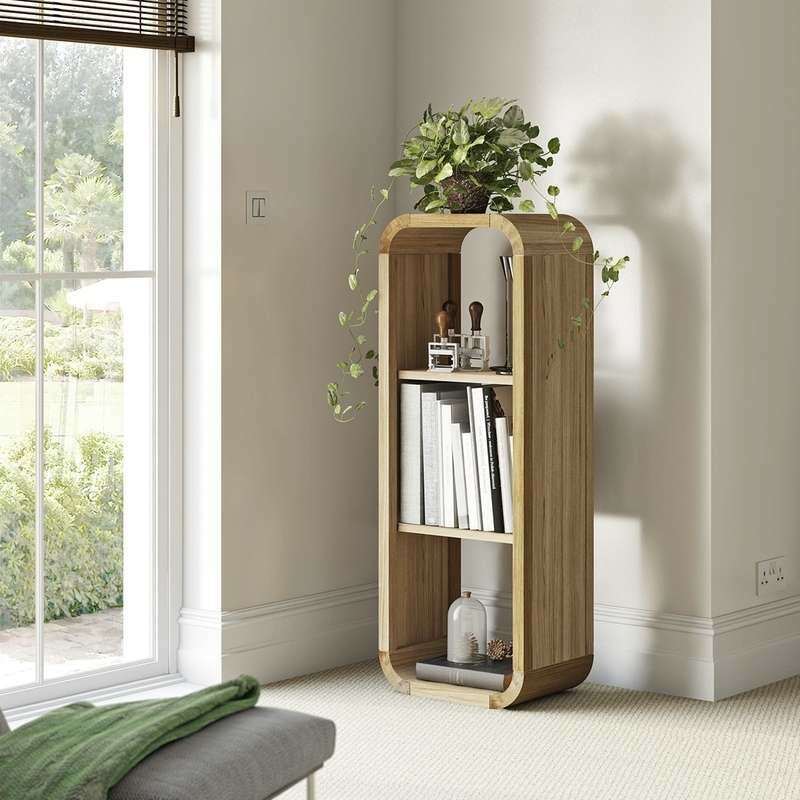 A storage unit, like the small shelving unit below, can bring focus to all of these memories, whether in the form of photographs or keepsakes, helping to remember all those fab times we've had and those to come. If there's one tradition that we all share, it's everyone crowding around the TV set to watch Christmas telly. Ever since televisions became widely available to the everyday family, Christmas Day has become THE key date in every TV network's calendar. The highest UK audience for any TV show was a "luvvly-jubbly" 24 million for Only Fools & Horses on Christmas Day 1996, when Del Boy's promise that "this time next year, we'll be millionaires" finally came true. But even these days, in the time of on-demand, multi-channel, multi-platform viewing, we still like to sit down together in anticipation of a good film or Christmas special. 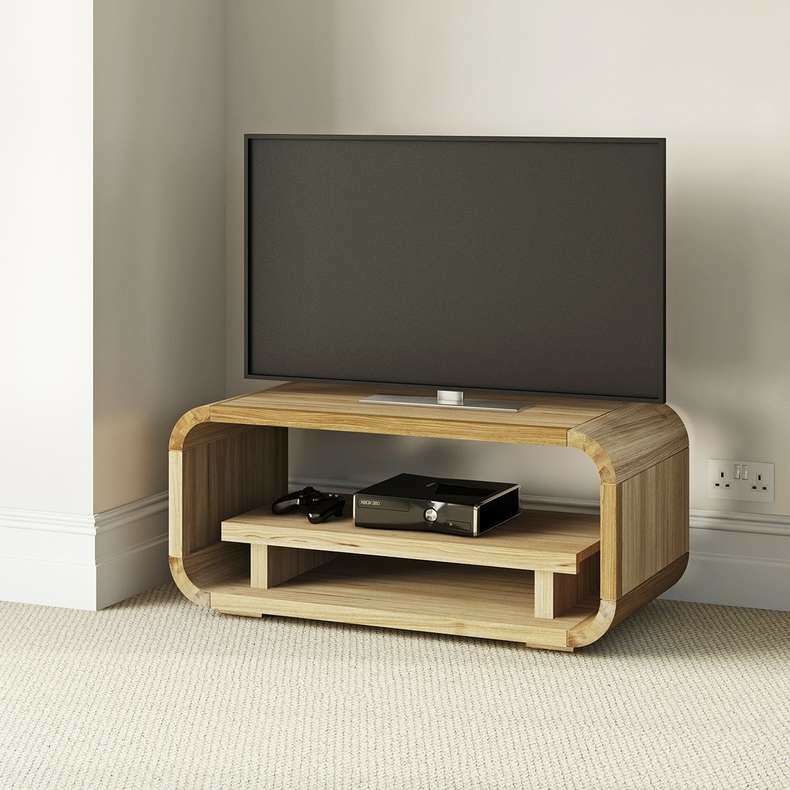 Providing the perfect setting for your TV, and with plenty of room for a DVD player and satellite or cable box, is this fabulous storage table. One thing that invariably happens at Christmas time, but almost never at any other time of the year, is running out of chairs. Often some form of emergency seating is required, like a garden chair which has lain rusting in the shed for the past few months. When it comes to comfy seating, the hierarchy goes, grandparents, adults, kids. So why not invest in a pair of stools, like the ones pictured below? They'll provide handy storage throughout the year for your bathroom, bedroom or any other space, but will come in very handy when you need to put bums on seats. If your walls have seen better days, there may be a fairly quick and simple solution. By adding a fresh coat of paint you can really brighten up a dull and uninviting looking living room with ease. Why not try some of the gorgeous heritage colours on offer from our Craig & Rose 1829 paint range? Another way to liven up boring walls is to add new wallpaper. With our superb wallpaper range, many of the fabulous designs from Fine Decor and Graham & Brown come with Paste-the-Wall technology, which means you don't need a pasting table. Simply add your paste to the wall, stick and rehang as necessary. It takes a quarter the time of regular wallpapering, giving you more time to plan for the big day! Check out these other great ideas to get your home ready in time for Christmas. A recent survey found that stress wasn't caused by buying presents or running up credit card debt. No, it was deciding which side of the family to spend Christmas with. 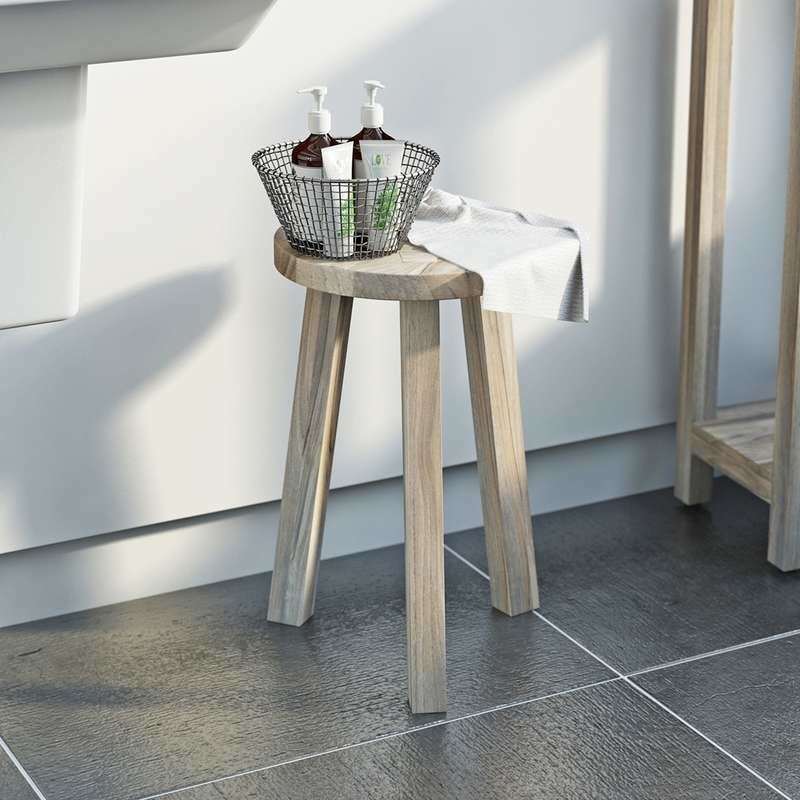 So, why not take the stress out of the festive period with these great ideas for your downstairs cloakroom? With Christmas nearly here, we've got together to bring you a collection of the greatest Christmas songs to sing in the shower. So jump in your shower, hit play and let these Christmas classics take you away! To help get your home ready in time for Christmas, we've come up with these handy little guides. Next on our list for quick fixes is the guest bedroom.